Hamish Keast has produced a gutsy ride to win the under-17 boys section of the 2015 Junior Tour of Southland. Keast delayed surgery on a broken collarbone, which he picked up while playing rugby, to ride in the tour. Despite the injury, the promising Southland rider powered home to win the yellow jersey in the race which started on Friday and finished on Sunday. The Yunca -sponsored tour has been an ideal breeding ground for young cyclists in the 32 years it has been run. Glenn McLeay who won the inaugural Tour back in 1984 and then went on to compete in the Barcelona Olympics in 1992. Gale force winds and driving rain caused havoc on the final stage on Sunday but failed to dampen the spirits and enthusiasm of the 100 young cyclists who competed. The strong winds resulted in the race organisors reducing the distances of the final stage. Tour manager Danielle Ralph said that the safety of the riders was paramount. 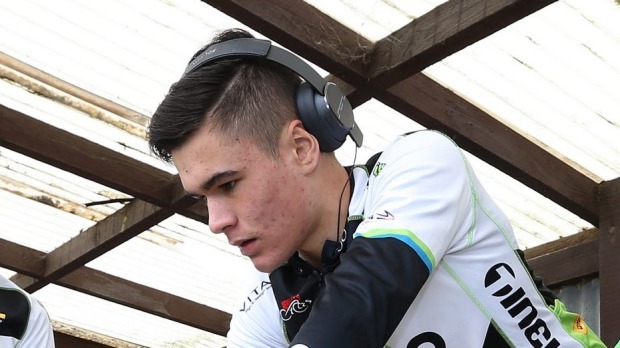 Many of the riders which took part on the tour will now ride in a junior track carnival starting on Tuesday in Invercargill. Other yellow jersey winners in 2015 were; Hayden Strong (under-19 men), Mikayla Kerr (under-19 women), Brittany Kerr (under-17 girls), Finn Fisher-Black (under-15 boys), Hannah Bartram (under-15 girls), Katie Batt (under-13 girls) and Kaio Lart (under-13 boys).